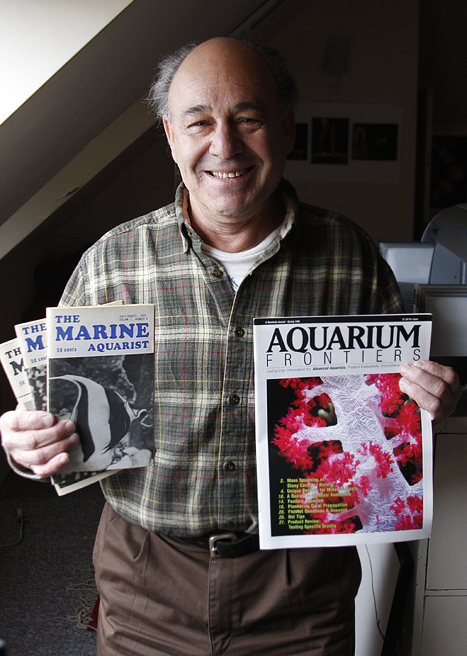 Hot off the press, MASNA announced the 2015 winner of their Aquarist of the Year award, and it goes to our friend Terry Siegel. Terry has been a long time aquarist and teacher of reef science through his work with The Marine Aquarist, Aquarium Frontiers, Reefs.org, and Advanced Aquarist. We’re delighted that Terry has been honored with this award and are looking forward to the presentation of the award at the MACNA banquet in Washington DC on Saturday Night. Congrats Terry! I am super, super happy about this. Long over due. Congrats to my mentor and friend.